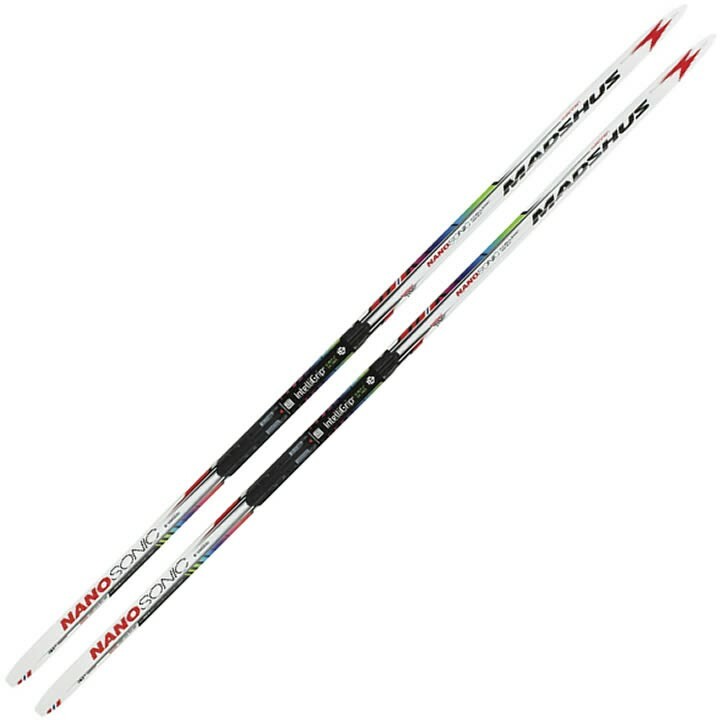 The Madshus Nanosonic Carbon Classic IntelliGrip®/Mohair Nordic Skis features a waxless base system in the kick zone that provides secure race kick in a wide range of conditions, including icy tracks, powder, and the tough waxing conditions around freezing. A classic high camber profile and Speed Tip ensure smooth contact and easy glide. This is a very high performing Mohair ski. PR 100X and Triaxial Carbon Construction - The PR 100X Core is a high-performance Rohacell foam core that was developed for extreme strength-to-weight applications in aeronautics that helps provide dampening properties and adds strength and stiffness to the ski without extra weight. Torsion Cap Construction : Torsion Cap Construction reinforces the ski's core with a cap, allowing for a very durable and lightweight construction. P190 Nano Universal - The P190 base was designed as a race ready base that is versatile in a variety of conditions. Intelligrip: Providing the legendary all-terrain grip of Mohair skin with the maximum glide performance needed for classic skiing, touring, and, nordic cruising. For tough waxing conditions, Intelligrip® and Intelligrip® bases are built with the highest quality mohair underfoot, paired with smooth polyethylene. This ensures optimum kick and glide, that avoids icing as well.